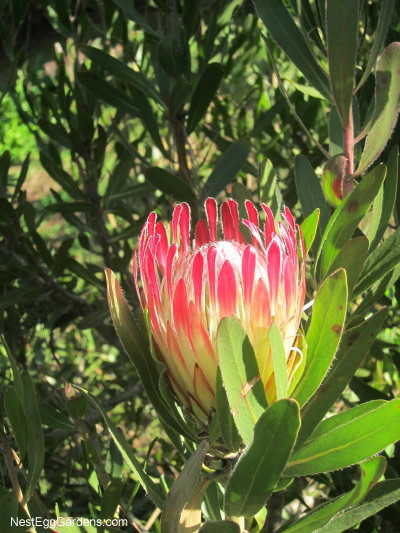 The Queen Protea is definitely out shining everything else on the grounds right now. 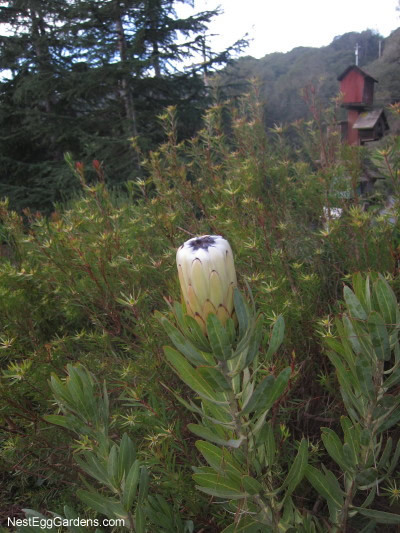 This was after some recent rain… which we are so grateful for after such a long drought. 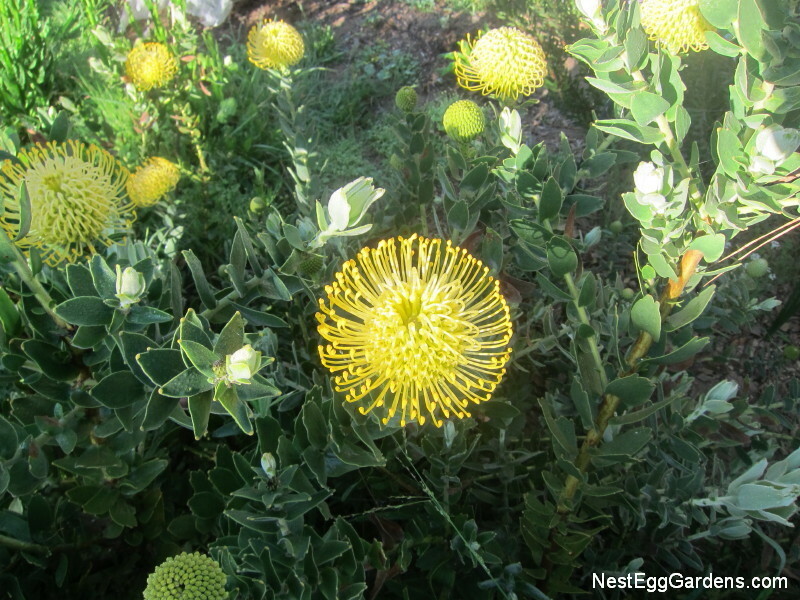 This variety didn’t seem to be affected at all by the lack of water. 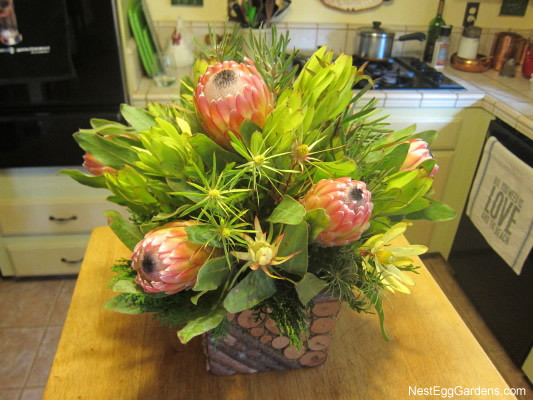 This entry was posted in Flora, Protea on December 2, 2015 by Shelly. 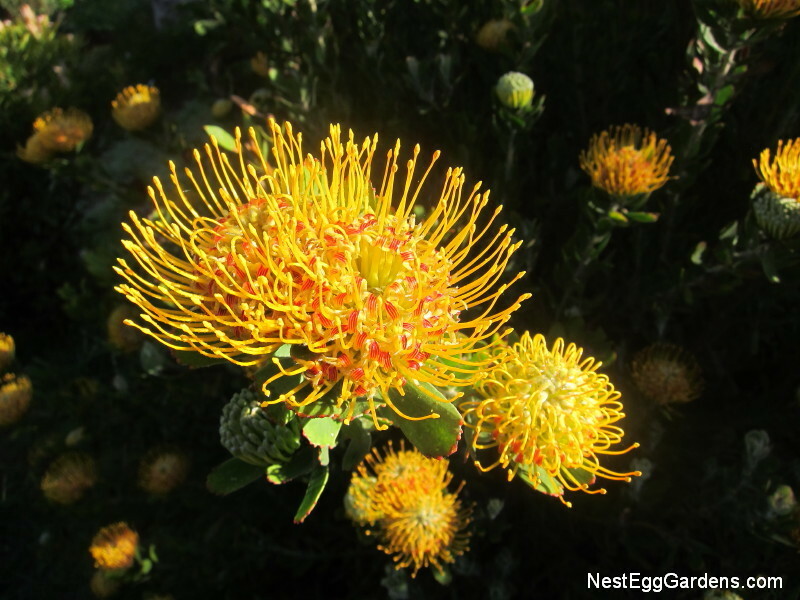 Leucospermum (aka Pincushion Protea) thrives in our sandy, gopher riddled soil without irrigation. 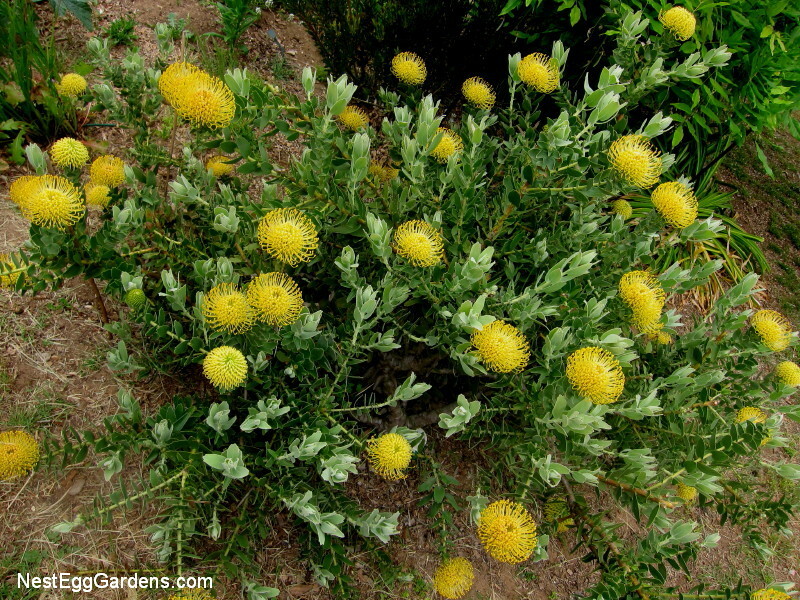 Native to South Africa and Zimbabwe, these evergreen shrubs grow to 5 five high and wide, producing tons of beautiful, long lasting flowers. 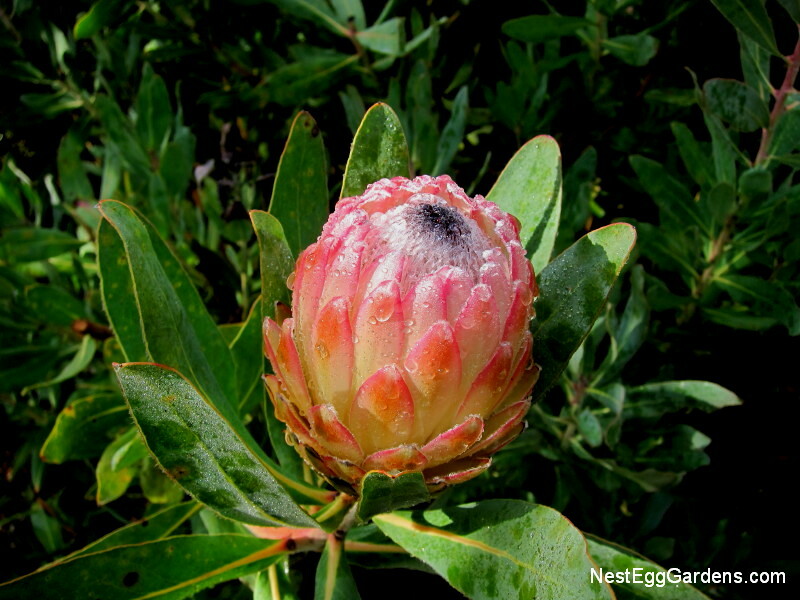 This entry was posted in Flora, Protea on March 29, 2015 by Shelly. 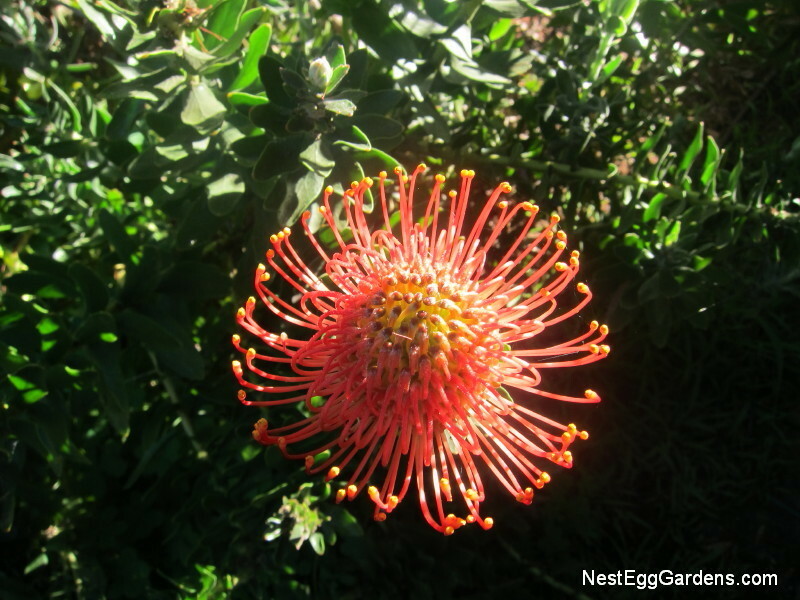 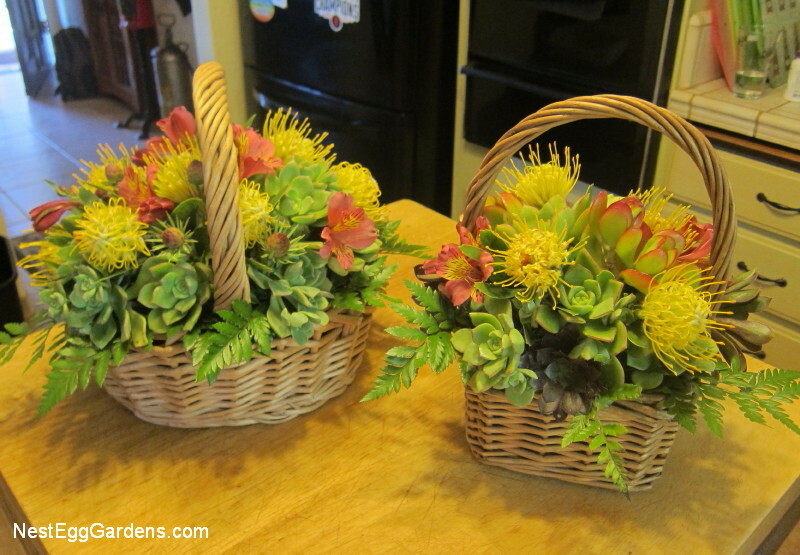 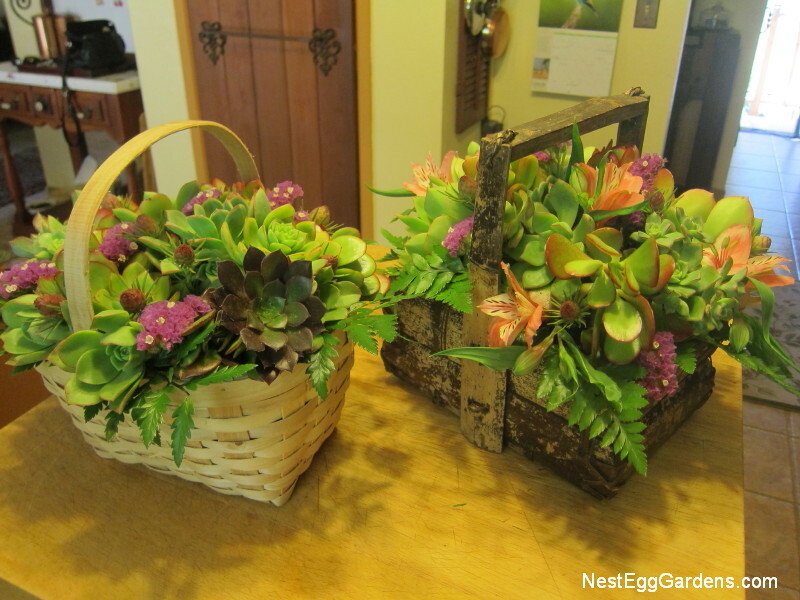 This entry was posted in Flora, Grounds, Living Art, Protea on January 13, 2015 by Shelly.